Growing up as part of the Chocktaw Nation of Oklahoma, Lisa Scarton developed a deep desire to help and to care for others from an early age. When Scarton was young, she would often help her grandmother care for the sick and elderly in Keota, Oklahoma. Culturally, taking care of one another is a strong value among Native Americans. Those twin ideals of caring for others and respecting her cultural heritage fueled her desire to become a nurse. Scarton, Ph.D., R.N., now is a postdoctoral associate with the UF College of Nursing and the UF Diabetes Institute. After getting her undergraduate degree in nursing from Indiana University, she became the primary caregiver for her grandmother. Scarton quickly realized that caring for family members at home is more difficult than caring for patients in a medical setting. After her grandmother passed, Scarton decided to focus her research on the challenges of caregiving. Scarton returned to Indiana University to complete her doctorate. In addition to studying caregiving, she was drawn to diabetes research partly because several of her family members were affected by Type 2 diabetes. 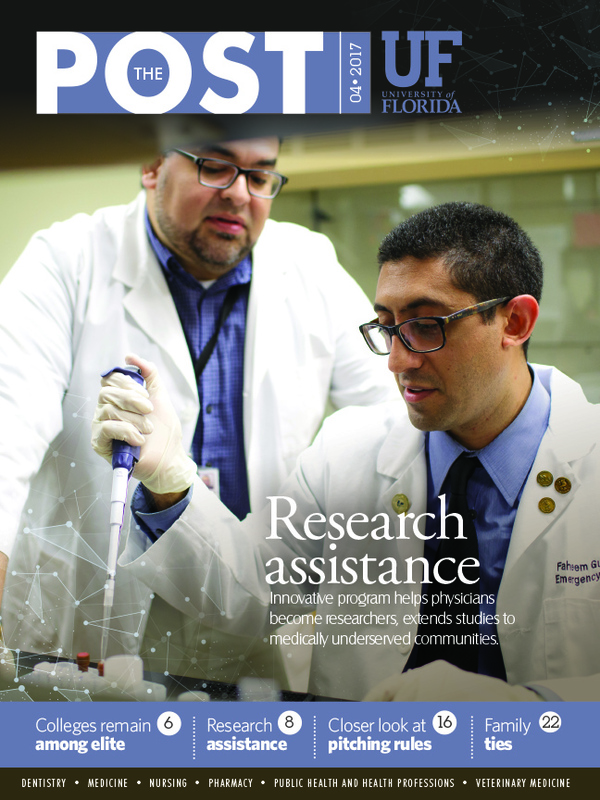 When she interviewed for the postdoctoral position at UF, she was interested in developing interventions for people with diabetes and their families who may be caring for them, said Diana Wilkie, Ph.D., R.N., FAAN., the Prairieview Trust-Earl and Margo Powers endowed professor, and one of Scarton’s mentors. Since coming to the UF College of Nursing in July, Scarton has been busy connecting with nearby Native American populations, creating focus groups and assisting with other studies in the college. Scarton is now working on creating an interdisciplinary group of tribal representatives from local Native American communities as well as scientists to explore ways to reduce diabetes health disparities prevalent in Native American communities in Florida and elsewhere. Scarton hopes to continue being a strong representative of her nursing background, her Choctaw heritage and her fields of study.